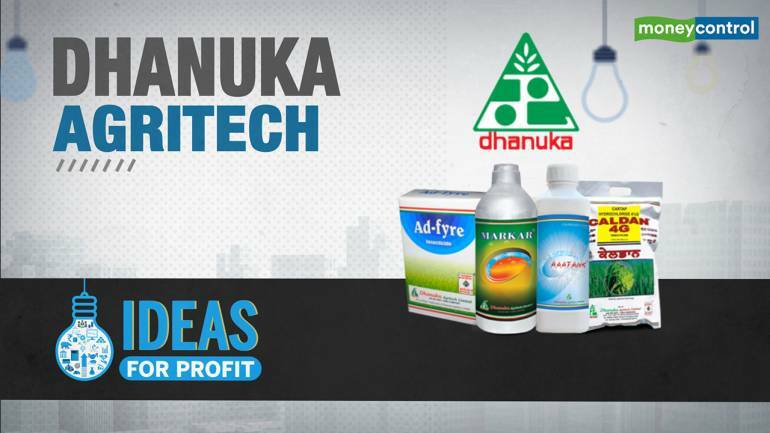 The stock of Dhanuka Agritech (DHAG) looks attractive after a 39 percent correction from its 52-week high (August 2018), given that its growth story remains intact. With clearing up of high-cost inventory and healthy line-up of new products, the company is well-positioned for improvement in its margins. DHAG is a manufacturer of insecticides, pesticides, fungicides and herbicides. More than half of its sales comprise manufacture of specialty molecules. The company has a pan-India presence, with marketing offices in all major Indian states and a network of more than 8,000 distributors. It has technical tie-ups with three US and four Japanese companies. It has three manufacturing units located at Gurugram (Haryana), Sanand (Gujarat) and Udhampur (J&K). Barring FY19, the company has maintained a healthy operating performance in the past few years. 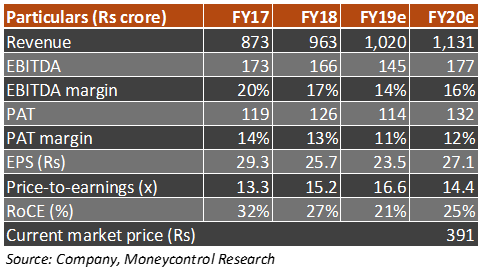 Financials in FY19 were impacted due to raw material cost pressure and below normal monsoons. Overall performance in the longer run has been healthy. The company has maintained a decent margin profile, with operating margin of around 19 percent and net margin of around 13 percent. Return on capital (RoC) has been around 20 percent in the past few years. Owing to steep fluctuations in raw material prices, the company has stocked up raw materials at the beginning of 2018. Towards the middle of the year, product prices started correcting, but the company was stuck with high-cost inventory, which impacted margin. Most of this inventory is now cleared, which makes us believe that margin are now positioned to improve. Over half of the company’s portfolio comprises of specialty molecule manufacturing, which to an extent is insulated from vagaries of the weather. The region-wise revenue break-up stands around 35 percent, 16 percent, 14 percent and 35 percent from north, east, west and southern regions, respectively. This makes it less exposed to one particular state and provides stability to growth. The company has launched 11 products in FY18 and around five products in FY19. Of these, almost 9-10 products are yet to gain traction. Acceleration in sales of these products would drive topline in coming quarters. The company has steadily paid off its debt over the years and has a debt-free balance sheet. This leaves scope for both organic and inorganic expansion. Imported raw material constitutes 25 percent of total inputs. Of this, around 33 percent consist of imports from China. The company was impacted by high raw material prices owing to closure of factories in China, which may continue. However, the management feels that the situation is stabilising now. Its total raw material requirements from China is relatively low compared to its agrochemical peers. Also, the company has raised prices of generic products, which should cushion margin. The agrochemical business and demand for the company’s products are highly linked to quantum of rainfall, thereby exposing the company to the vagaries of nature. DHAG is dependent on global innovators for supply of technical/active ingredients in its key products. Any supply disruption here could adversely impact its earnings. We remain optimistic about the long-term prospects of DHAG, given the healthy track record in the past. We see the business as a strong and growing one, generating a decent return. The stock has corrected 32 percent over the last one year. After the correction, the stock is now trading at an FY19 estimated price-to-earnings of 14 times. With the growth story remaining intact, the stock appears attractive. We expect consistency in earnings as the company has a healthy product mix, with more than half of its sales accruing from specialty molecules, strong pick-up in recently launched products, low penetration of herbicides and fungicides in India and favourable macro and policy environment for agriculture companies.